Newcastle United 2011 / 2012 Season Review – Part Two – Conclusion. | NUFC Blog. A stunning display from Pardew’s team saw champions, Manchester United, comfortably beaten 3-0 at St James’ Park. Two brilliant goals from both Demba Ba and Yohan Cabaye put United on course to victory, with Phil Jones putting through his own net to complete the rout. It was a tremendous start to January, and helped eradicate the previous month’s below par performances. Pardew got the tactics spot on, knowing that Man Utd’s centre backs Rio Ferdinand and Phil Jones couldn’t handle the physicality of Magpies front men, Demba Ba and Shola Ameobi. The F.A. Cup round three was United’s next focus of attention involving another fixture with Blackburn Rovers. The game was eventually settled by a last minute Jonas Gutierrez strike, but will be remembered for a special goal from Hatem Ben Arfa. With the Magpies trailing 1-0 after a goal from David Goodwillie, Ben Arfa took it upon himself to dribble from just inside the halfway line, skip past around five challenges, switch from left foot to right foot and back again, eventually firing a left foot shot past a stunned Mark Bunn in the Rovers goal. This stunning solo goal from the Frenchman had Pardew purring that it was “the best goal I have ever seen”. Newcastle had put their names in the hat for round four, where a visit to Brighton would be next. Hatem Ben Arfa’s goal against Blackburn Rovers. Back to the league, and a 1-0 victory over QPR was followed by a 5-2 defeat at the Cottage against Fulham. United had seemingly been in total control after the first 45 minutes, leading 1-0 courtesy of a great Danny Guthrie strike. But Martin Jol decided to alter formation to 4-4-2, throw on Andy Johnson and play more direct in the second half. United failed to alter their defensive line playing far too high up, and were ruthlessly exposed by Johnson and Clint Dempsey. It certainly was a day to forget in the capital. The last footballing action of January saw Newcastle bail out of the F.A. Cup round four at Brighton. A 1-0 defeat was inflicted by Gustavo Poyet’s men, and sadly, it was another poor performance from the Magpies. During January, the transfer window re-opened for business with Newcastle finally acquiring a new number nine in Papiss Demba Cissé. Purchased from German side Freiburg for a fee of up to £9 million, he joined fellow Senegal team mate, Demba Ba, on Tyneside. 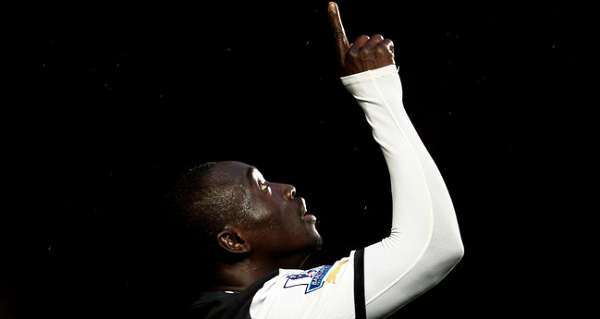 February – “Papiss Cissé he scores when he wants” / White Hart Pain. The first fixture of the month witnessed Gabriel Obertan score his first goal for the Magpies to seal a 2-0 victory at Ewood Park versus Blackburn. It was our fourth encounter in all competitions against Steve Kean’s side this season, with United winning three and losing one. A home tie with Aston Villa quickly ensued which also witnessed a debut goal for the Magpies, with Papiss Cissé scoring his first goal for the club on his debut after replacing an injured Leon Best. Jonas went on a traditional run down the left flank and picked out Cissé with a cross on the edge of the box. Cissé controlled it instantly and with one swipe of his left foot, the ball flew into former Magpie Shay Given’s goal to help seal a 2-1 victory for United. A fine way to introduce yourself as the new number nine. Harry Redknapp and Tottenham Hotspur were next up for Pardew and the lads. Minus Yohan Cabaye and Cheick Tioté for the trip to White Hart Lane, Danny Guthrie and James Perch filled in the central midfield berth. Newcastle found themselves 4-0 down by half-time, eventually losing 5-0 in front of the ESPN cameras. It was certainly a tactical mishap, with Newcastle suffering another 5 goals against. Though it was a poor performance on the night, it was just one of those games where it may not have mattered how we set up, as the main focal point of the fixture was Harry Redknapp being heavily linked to the England job. Spurs’ fans were very vocal on the matter of wanting to keep floppy chops at the club, and their players responded in emphatic fashion. Terry Connor’s first task as newly appointed Wolves manager was a trip to the North East, and he found his side 2-0 down after twenty minutes thanks to goals from Papiss Cissé and Jonas Gutierrez. Unfortunately Newcastle didn’t go for the jugular once comfortably in front, and decided to try and shut up shop. Wolves punished that decision and managed to draw level at 2-2 which was the eventual final score. The month of February certainly didn’t involve some of Newcastle’s finer performances, but with the victories at Ewood Park and against Aston Villa, and Newcastle not exactly performing well in either, they still picked up vital wins. Winning while not performing well is the mark of a good team. Though there were slight worries over our recent performances, that was mainly to do with concern of how we’d perform up against our next opponents. March – Shola the mackem slayer / Emirates heartache / Start of a run. 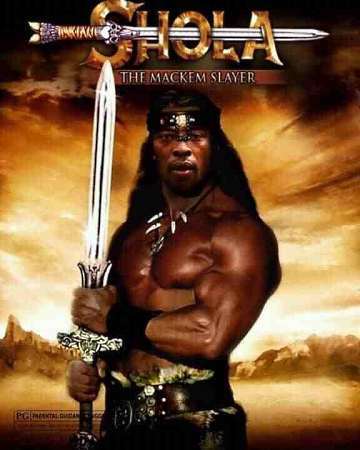 Shola - Master of Mackems. The Mackems made the short journey to St James’ Park for the Tyne – Wear derby, our first fixture in March. A masked Nicklas Bendtner had given them the lead via the penalty spot after a foul from Mike Williamson. Soon after the second half began, Stephane Sessegnon saw red for an altercation with Tioté, and Newcastle started to push forward at every opportunity. But as the match entered it’s final minutes, the Magpies couldn’t find a way through the Mackems’ stubborn defence. Ameobi took a pass in his stride on the right side of the Mackems’ box as ninety minutes approached, only to be felled resulting in a penalty being awarded for Newcastle. Most expected Shola himself to continue his excellent penalty record, but it was Demba Ba who stepped up to take the spot-kick. Ba saw his penalty saved and as the ball bounced out of play it was becoming increasingly likely that Newcastle were about to be defeated by their fiercest rivals. But, as the ninety minute mark was passed and extra-time took effect, Ameobi got on the end of a Mike Williamson flick on to side foot the ball into the Mackems net and draw Newcastle level. The terraces exploded with joy, and Ameobi was once again the Geordie hero. The match ended 1-1, and Newcastle had taken another four points during the season off their lesser neighbours. Arsenal defeated Newcastle 2-1 at the Emirates in our following fixture. Newcastle had taken the lead via a remarkable finish from Hatem Ben Arfa, threading the ball through the eye of a needle on Wojciech Szczesny’s near side. Unfortunately though, they conceeded an almost immediate Robin Van Persie equalizer as they basked in the afterglow of that first goal. At the end of of a seemingly interminable five minutes of extra time, Thomas Vermaelen fianlly broke Geordie hearts with a winning goal. The match also saw an outbreak of double Dutch “handbags” with Dutchmen, Robin Van Persie, and Krul at the final whistle. It was allegedly about Krul supposedly timewasting when taking his kicks during the game. Papiss Cissé netted his third goal in Newcastle colours, helping the Magpies to a 1-0 victory over Paul Lambert’s Norwich City. It was another quality finish from our number nine, as he turned in a Jonas Gutierrez cross first time with the outside of his right foot. The final fixture of March witnessed a change in formation, with Demba Ba pushed to the left of a front three consisting of Cissé and Ben Arfa as Newcastle travelled to the Hawthorns to tackle West Brom. The change in style saw United race into a 3-0 lead by half-time, with Cissé netting twice and Ben Arfa in frightening form, creating two and scoring the other. Sky Sports pundit, Jamie Redknapp, stated at the time that it was “the best performance from an away side I’ve seen all season”. A defensive mix up allowed Shane Long to pull one back for the Baggies but by that time the points were in the bag and the match ended 3-1 to United. It was an excellent team display, with Pardew seemingly letting the midfield keep it simple and play, while allowing the front three to attack. It gave Cabaye the license to push further forward, with Ben Arfa looking more influential in a forward three opposed to on the right side of a flat four man midfield. Cissé’s two goals brought his tally up to five strikes, and as we all know, it wouldn’t stop there! April – “José Enrique we’re in the top six” / Cissé on fire. Kenny Dalglish’s April fools were taught a lesson on a sunny afternoon at St James’ Park as Papiss Cissé netted twice to ease the Magpies to a 2-0 victory. It was an unhappy return to Tyneside for Carroll and Enrique, with the latter being forced to play the final few minutes in goal due to Pepe Reina being sent off following a clash with James Perch. The impressive Swansea City were next up at the Liberty Stadium for United. It was that man, Cissé, who once again grabbed a brace in another 2-0 victory. Both goals were top drawer finishes, with the second one being the pick of the two. Cissé collected a pass from Yohan Cabaye, and in a flash, he managed to lift the ball over Michel Vorm to mark his ninth goal of the season since joining Newcastle in January. The match itself saw Swansea dominate possession, but Newcastle were able to soak up all the pressure and work to their strengths, hitting Swansea on the counter attack. Hatem Ben Arfa helped settle matters in our next fixture versus Bolton Wanderers on Tyneside, by executing an exquisite Cruyff turn in his own half, and after advancing towards goal he managed to avoid four challenges before calmly poking the ball past the on rushing Bolton goalkeeper. It was another fantastic goal from our number ten, who’s influence in the starting eleven was becoming more and more apparent. Shola Ameobi picked out Papiss Cissé with an excellent cross, and our hit-man made no mistake from six yards to assist in sealing yet another 2-0 victory for the Magpies. It was Newcastle’s fifth straight win in the league, which was last accomplished back in April 2006. Ben Arfa goal against Bolton. Next up was Tony Pulis’ Stoke City at St James’ Park, and this time it was Yohan Cabaye who pulled all the strings by scoring two, and creating another for Cissé to net his eleventh goal in black and white to aid United to a 3-0 victory. Cabaye’s assist for the second goal was outstanding, threading a perfect pass through to Cissé. The win pushed Newcastle into the top four, and with that, Arsenal, Chelsea and Tottenham had started to get even more concerned that Newcastle were going to pip them to a top four finish. Newcastle were producing some excellent football, scoring goals and keeping clean sheets. Each player on the pitch looked much more comfortable in a 4-3-3, with perhaps the only exception being Demba Ba, who didn’t seem as happy stuck on the left of the three pronged attack. Though Ba’s goals had rapidly dried up, he was still integral to the team, through his sheer movement and work rate. This was Newcastle’s third double of the season, after beating Blackburn and Bolton twice in the Premier League already. Roberto Martinez’s Wigan finally put a halt to Newcastle’s fine run of form though, by defeating United 4-0 at DW Stadium. Wigan on the day were as exceptional as Newcastle were poor. United simply couldn’t handle Wigan’s 3-4-3 formation, and by the time we managed to get a grip of things, the game was already out of reach. Newcastle had gone 411 minutes without conceding in the Premier League, which had been the best run we’d endured since the 1996 / 1997 season. Despite the defeat, Newcastle remained in the top four as April came to a close. May – Race for the Champions League / Cissé scores a screamer. Stamford Bridge was the destination on May 2nd, with both Chelsea and Newcastle in the hunt for Champions League football. Papiss Cissé opened the scoring after collecting a pass from Davide Santon, flicking the ball up with his right foot, and smashing the ball into the net with his left from the edge of the box. That was a spectacular goal in itself, though the best was yet to come. Due to Cheick Tioté’s injury in the second half after being assulted by Chelsea’s John Obi Mikel, an additional ten minutes were added to the initial ninety. Ryan Taylor launched a throw in towards Shola Ameobi, and our number 23 chested the ball down into the path of Cissé close to the touchline. In one swift swipe, he caught the ball with the outside of his right foot for a sublime reverse banana shot, and the ball flew right over Petr Cech to nestle in the Chelsea net after completing the most beautiful trajectory. A truly brilliant goal, that amazed everybody in the stadium and those lucky enough to have been watching the match. Didier Drogba shared his thoughts about it with Pardew on the touchline, and Ashley Cole tried explaining what had just happened on the Chelsea bench. Cissé meant every inch of that strike, and I’m still of the opinion it was one of, if not the best strike of a football I’ve ever seen. The victory helped distance ourselves from Chelsea, meaning at least a top five finish was guaranteed. It was Newcastle’s first win in the capital since our 1-0 victory at the Emirates versus Arsenal in October 2010. Cisse’s big banana v Chelsea. Title chasing Manchester City would provide our last home fixture of the season. Yaya Touré had a remarkable game, netting twice for the Citizens as they moved a step closer to securing the Premier League title over rivals, Manchester United. The result didn’t aid in Newcastle’s quest for a top four finish but it was a good team effort, and the lads rightly got an excellent send off during the traditional lap of honour at the end of the match. This was United’s first home defeat of 2012. Our total home record consisting of eleven wins, five draws and three defeats. Man City became the only team to do the double over Newcastle this season. 52,839 in attendance meant it was our highest attendance since the rebuilding of St James’ Park, and Newcastle also unveiled a stature of the late, great Sir Bobby Robson outside the south-west corner of the stadium. All in all an excellent term at home, our best since the 2005 / 2006 season. Newcastle’s season wrapped up with a visit to David Moyes’ in form Everton. United still had a chance of reaching the top four, but would have to pick up maximum points and hope West Brom could do us a favour against Arsenal, and / or Fulham could do something versus Tottenham at White Hart Lane. As it unfolded, it didn’t matter what happened anywhere else as Newcastle produced a rather limp and disappointing performance at Goodison Park, resulting in a 3-1 defeat. 3,000 of the Toon Army made the trip to Merseyside, which aided Everton in recording their biggest attendance of the season totaling 39,517. So, Newcastle ended the 2011 / 2012 campaign in fifth place, with Europa League qualification secured. Demba Ba ended the season as Newcastle’s top scorer with 16 strikes, followed by Papiss Cissé on 13 strikes, and Hatem Ben Arfa came third with 6 goals. Yohan Cabaye was chief creator with 6 assists, and Tim Krul was Newcastle’s only ever present, completing all 38 Premier League games. The Silver Supremo - Manager of the Season, twice! 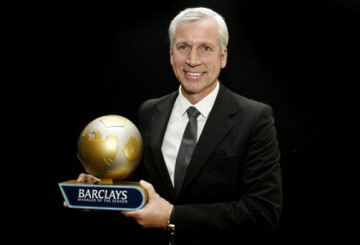 Finally, Alan Pardew was announced as the winner of both the Barclays Premier League manager of the season, and the LMA manager of the season – The first Newcastle United manager to win either award, though ex Magpie manager, Joe Kinnear, once won the LMA award as manager of Wimbledon in 1994. Fabricio Coloccini also made the official Premier League team of the season. That just about wraps up the 2011 / 2012 season review – A terrific campaign that defied all expectations. Though personally I never thought Newcastle were in danger of relegation, I didn’t believe we could finish among the top six. As it turned out, finishing fifth and going into the last game of the season with a chance of Champions League qualification was an incredible achievement, and Pardew, along with the players, deserve all the plaudits they have received. The positives for me include Krul cementing himself as the number one, Fabricio Coloccini being as assured and consistent as anyone could be, James Perch’s dedication and belief he could become a valuable player at St James’ Park and succeeding, Yohan Cabaye settling in and producing moments of class, Demba Ba scoring vital goals, Papiss Cissé owning the number nine shirt, and Hatem Ben Arfa progressing mentally and physically from the start of the season to the end. To be honest, it’s impossible to list them all. Everyone at the club should be proud of their achievements. It’s been a fantastic campaign. So the summer awaits the Magpies, a summer that’ll no doubt consist of speculation, twists and turns, and incoming / outgoing players. Once that’s over with, a stint in the Europa League and European nights at St James’ Park are something we’ve all got to look forward to, so dust off your passports, and prepare for another interesting chapter in the history of Newcastle United. Newcastle United Season Review Videos, Interactive Guide and Text. Oh well, it looks like Danny Guthrie is off then. But on the subject at hand, that was a really great season review, Jimbob, from start to finish! In that case perhaps i should read it! Bit long though init ? That Guthrie thing is a fake BTW. Forget I ever mentioned it! “In that case perhaps i should read it! Good one Jimbob! In addition to your list of positives at the end, I would add “everyone’s commitment to the cause.” One certainly senses a feeling of pride and 100% commitment playing in the black and white. If I were to trace the origins of that, I would suggest it goes back to the dressing room a couple of years ago following a thrashing by Leiton Orient. That core of players, which apparantly included Smith, Nolan, Harper and a few others, who KNEW they were playing for a great club with a proud history and the most loyal, fanatical army of fans in England decided, there and then, that their backs were against the wall and they were going to come out swinging. Others, including the Spanish-speaking contingent, said “Hola!” and the genesis of a new era began. Chris Hughton was the man to harness that energy and commitment and we have not looked back. Success has led to success, and now we have finished fifth and are in Europe. So, in completing this rant, (assuming that what I am writing here is not total BS) I tip my hat to that core group who recognized and realized that they had a job to do, and a job worth doing, and a job worth doing 100%! HWTL. Yes Guthrie is gone and i expect Simpson to follow him. Along with Best, Lovenkrands and pehaps others. Hoilett? (forward) N’zonzi (winger) Martin Olsson (defender). possibly Kevin Davies ? (midfielder)fee being asked 3.5m.? An injured Pieters may be a liability, which could see us look elsewhere and the Douglas deal seems to be having problems. Debuchy or Yanga-M’biwa, either would be good, but i have a feeling we will go for Clyne. Looks like our sights are set on De Jong as a replacement for an apparently unsettled Ba, a younger striker for one with a dodgy knee, thats fine by me. De Jong, his fee would be paid for from Ba’s exit. Hoilett, A free agent, but would cost a few mill. Douglas, Around four or five mill. Course depending who we are going to get rid off, we may need more, but the good news is Our youngsters are developing fast, with Ferguson i believe ready for the occassional start. And Sammyamyobi getting over an injury, it’s like having new signings. P.S. The ONLY advantage of finishing 5th (as opposed to 4th) is that I can hope Chelsea win tomorrow. With that said, let me state I cannot stand Chelsea but, being an Englishman, I would prefer to see an English side win as opposed to a continental one. Mind you, with that said, I certainly shall not be too miffed if they loose either even though I’m no more fond of the Spuds either who, of course, will benefit from Chelsea’s loss. Sammy J, Cyprus, Clint Worky and Paul in Hollywood thanks lads I appreciate the positive comments. But we have to retain the quality, which distinguishes this blog from the rest, so you can play good cop, I can do the bad cop stuff, keep em on their toes. Class Jimbob – respect mate. Great writing – great read. Loved it! UTD, cheers mate glad you liked it. I don’t think anyone can argue with what you’ve put forward, clearly & succinctly. Well worth a read man! Good stuff Jimbob. I will keep it in mind to read again to cheer myself up DURING an inevitably dour England match at the Euro. I don’t do twitter, but it has come to my attention from reading blogs that there is hardly anything on there from fans and players that is not either fake or not worth reading. I read the sports pages anyway and I would guess that anything said in 140 characters doesn’t add much. Correct me if I am wrong or tell me someone interesting to follow. Barton’s rants are mildly interesting in a train wreck sort of way. I think even he will look back and see that quoting a few Smiths lyrics and some George Orwell will not make up for getting sacked from probably 2 clubs. I know there was more to it, but at Newcastle Twitter was the last straw. The last thing I need is more of Rio Ferdinand so at least for now I will be Twitter free. thanks Jimbob, great piece ? Bit long though init ! get stuck in if ya’ got something to say, don’t hold back mate. Yeah i know and due credit, just amusing myself.